Versatile and distinctive, Art offers the solution for both high usage and sophisticated washrooms. 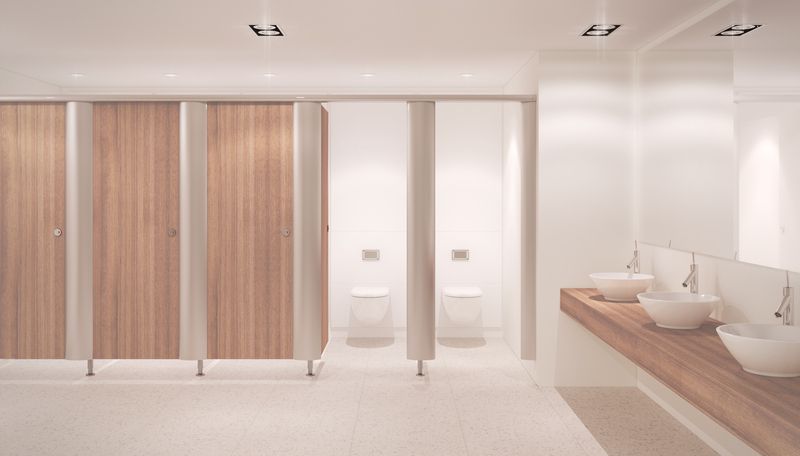 Smooth, curved powder coated aluminium pilasters and a wide choice of materials enable Art to work well within all washroom environments. Door and partition panels can be manufactured in MFC, HPL, SGL, glass or FSC certified veneers. The cubicle pilasters are powder coated in your choice of RAL colour.